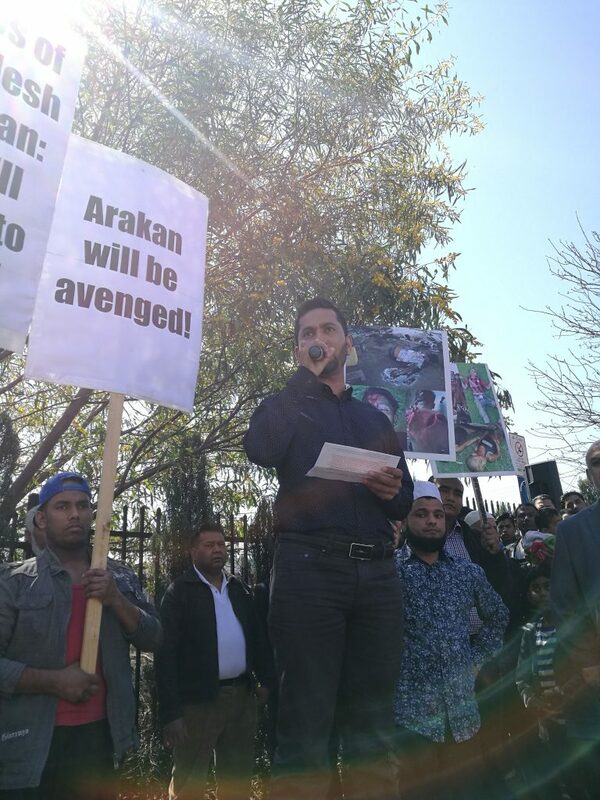 Speakers and activists from the community shared words of support for the Rohingya, reflections on the situation and invocations to Allah (swt) as they continue to face unspeakable crimes and a clear genocide. Hundreds attended the community stand in support of the oppressed Rohingya Muslims of Myanmar. 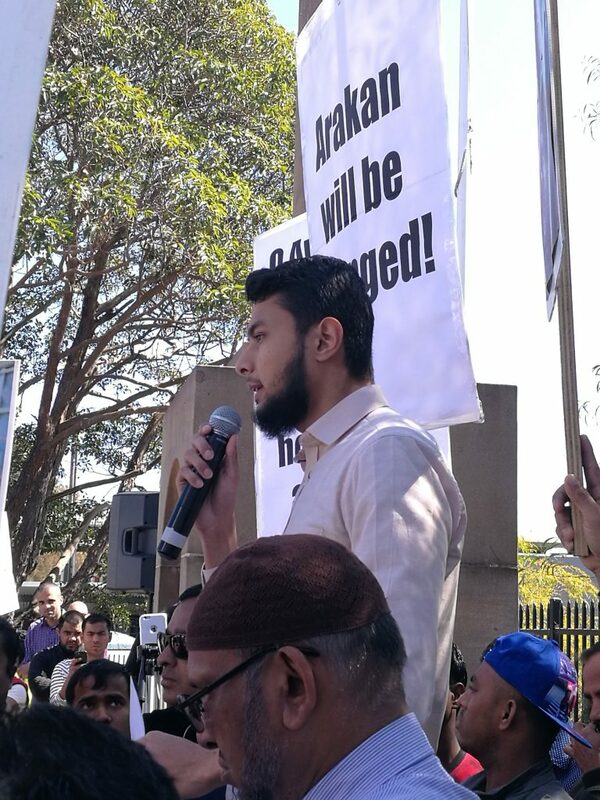 The protest was opened by brother Hamzah Qureshi from Hizb ut-Tahrir Australia who, as the MC for the event, mentioned the desperate situation in Myanmar, how the protest was carried out in response to our Islamic obligations and how our answers lie within Islam and the Ummah itself. 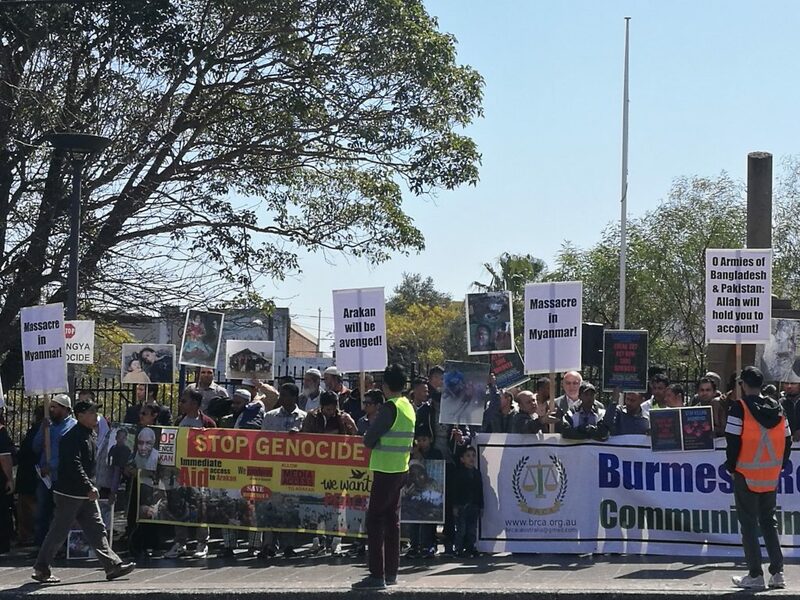 Brother Jawad Kabir, a Rohingya community representative, then detailed his first hand account of some of the oppression that he himself had faced at the hands of the Myanmar regime. Sister Anisa Khan then spoke of the believers as one single unit and how the unity that is obliged of the Ummah must be realised if we are to escape the terrible tragedies that we consistently face. Brother Jawad Kabir, a Rohingya community representative. 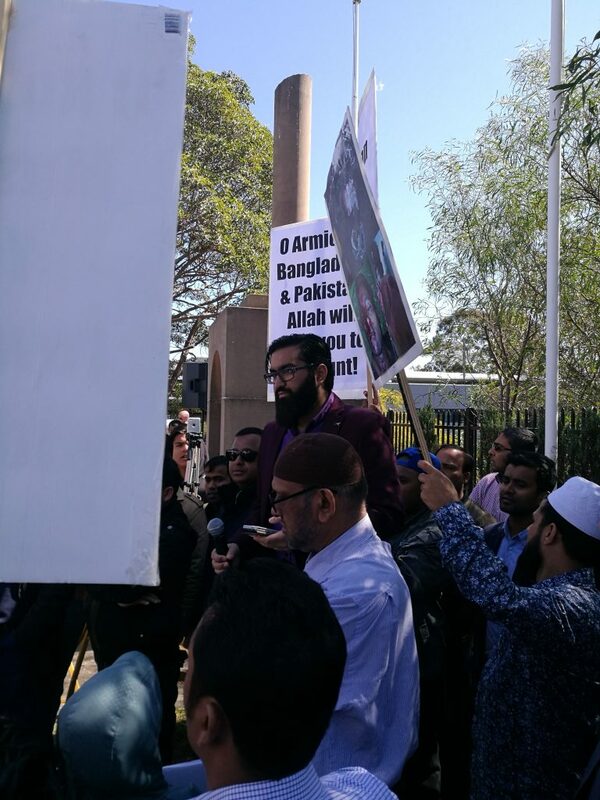 Sheikh Rashid Rashed, a representative from the Bengali community, spoke powerfully against the government of Bangladesh and how it is not at all representative of the wishes of the Muslims of Bangladesh. 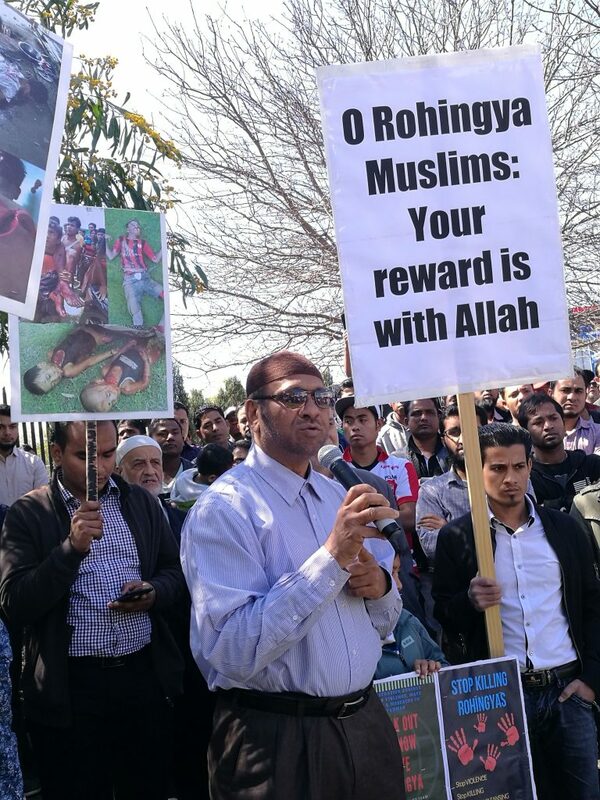 He repeatedly emphasised the brotherhood that the Bengali Muslims feel with their Rohingya counterparts and how those fleeing the violence are doing so to reserve their Islam, thereby making it the responsibility of the Muslims of Bangladesh to welcome and assist the refugees. 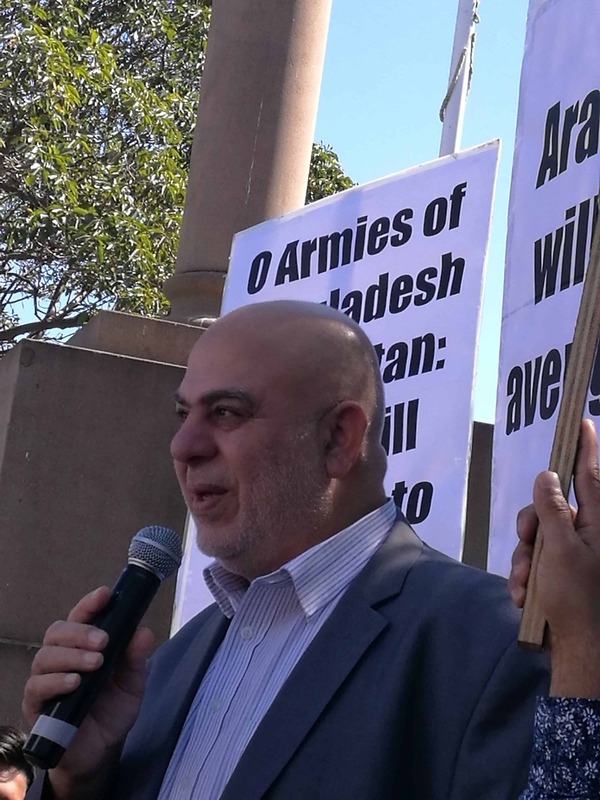 Sheikh Rashid Rashed, a representative from the Bengali community, spoke powerfully against the government of Bangladesh. Sister Wafa Omran then followed, speaking emotionally about the need for the Muslims to reunite themselves such that we have a shield with which to protect ourselves. After her spoke brother Waleed Maktab (in Arabic) as a community representative that has been vocal in his support of the Muslims of Syria. His speech drew the link between the Muslims globally who are being oppressed, be it in Syria or Myanmar, and our duties towards them. 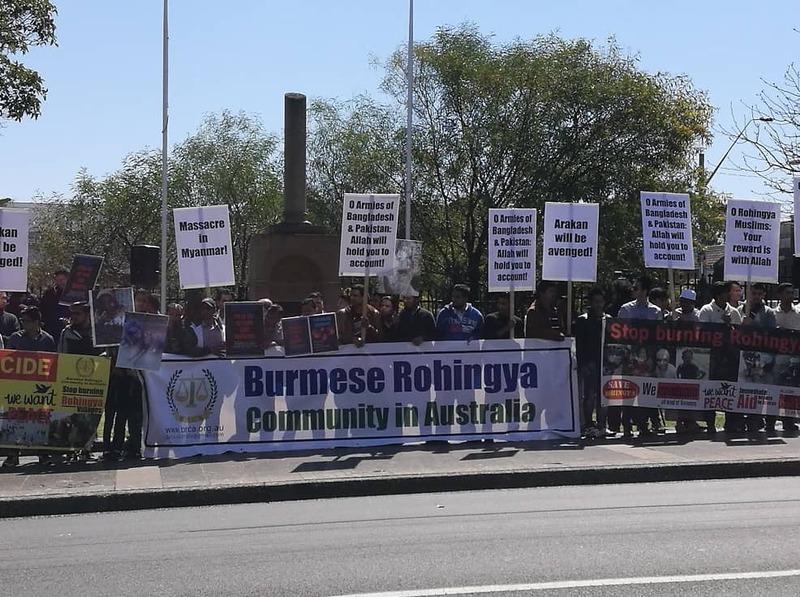 Brother Waleed Maktab, who has been a vocal community representative in support of the Muslims of Syria, this time spoke in support of the Rohingya. 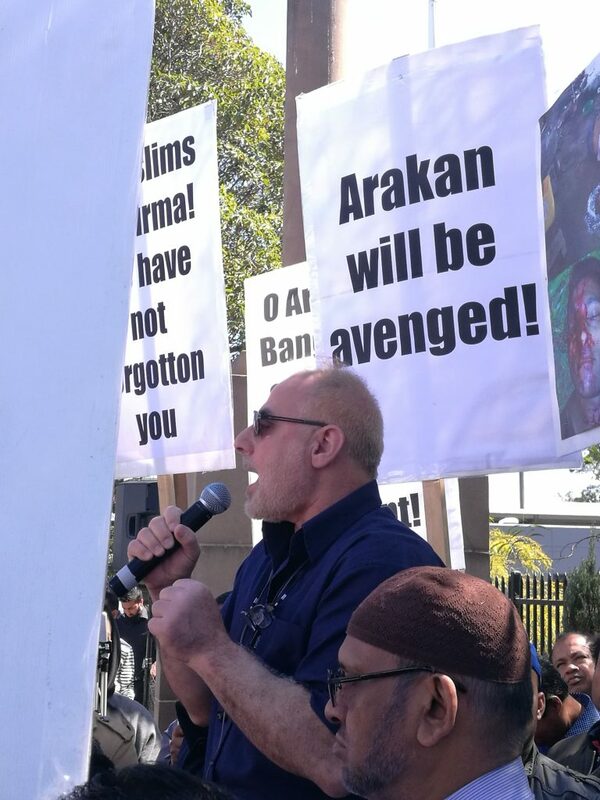 Brother Harun Harace, President of the Burmese Rohingya Community Association, then delivered a moving address focusing on what we, as Muslims, must do about the situation. Taking inspiration from the Qur’an, he outlined what the motivations of the Muslims must be in responding tot he oppression of the Rohingya, as well as how the ultimate solution to the oppression that Muslims face worldwide comes internally from our Islam and nowhere else. Brother Harun Harace, President of the Burmese Rohingya Community Association. Ustadh Abu Anas Ismail Al-Wahwah then spoke passionately to the Muslim youth about how we seem to have to protest time and again for different issues, with no end in sight. 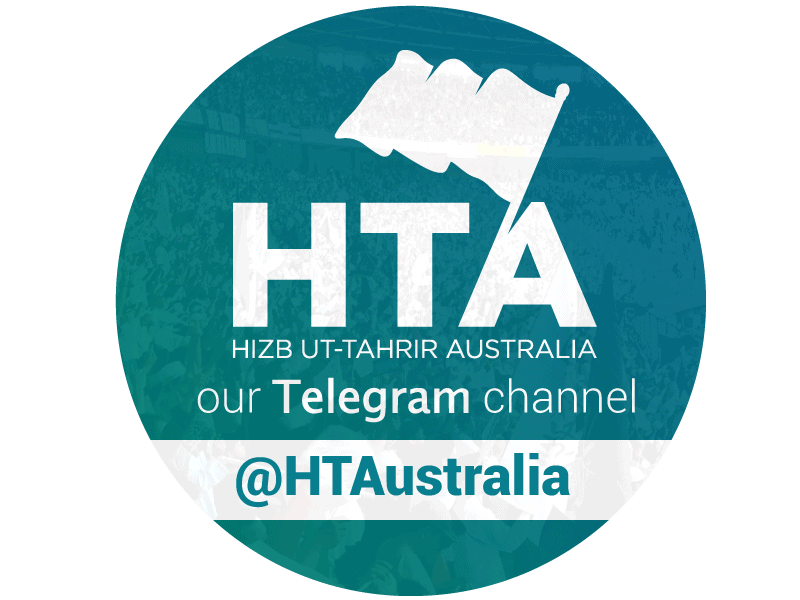 He made very clear that now is the time for Muslims, specifically the youth, to mobilise themselves upon the basis of Islam so that the root causes that bring us out to stand against the many tragedies that our Ummah faces can be addressed comprehensively. Ustadh Abu Anas Ismail Al-Wahwah had a message specifically for the Muslim youth. 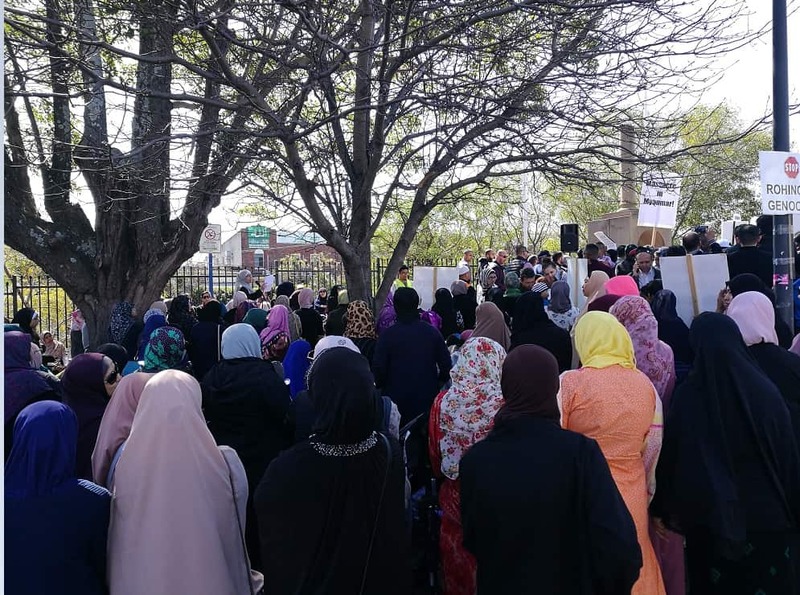 The protest was concluded by brother Abu Muhammad Trad who led a collective a dua to Allah swt, in whose Hands lies our salvation and eventual victory, to supplicate to Him alone and seek from Him relief for our Rohingya brothers and sisters. Multiple speakers delivered powerful and relevant messages. 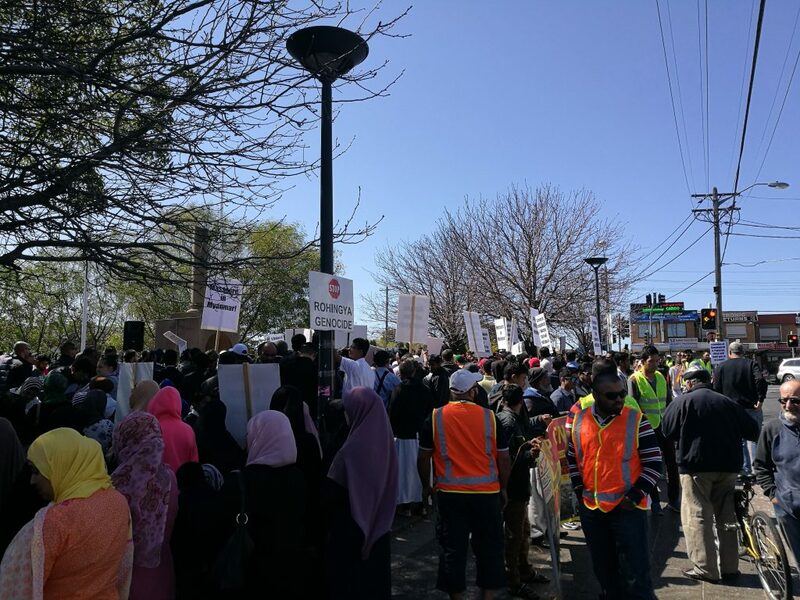 Hundreds came out to support their Rohingya brothers and sisters. 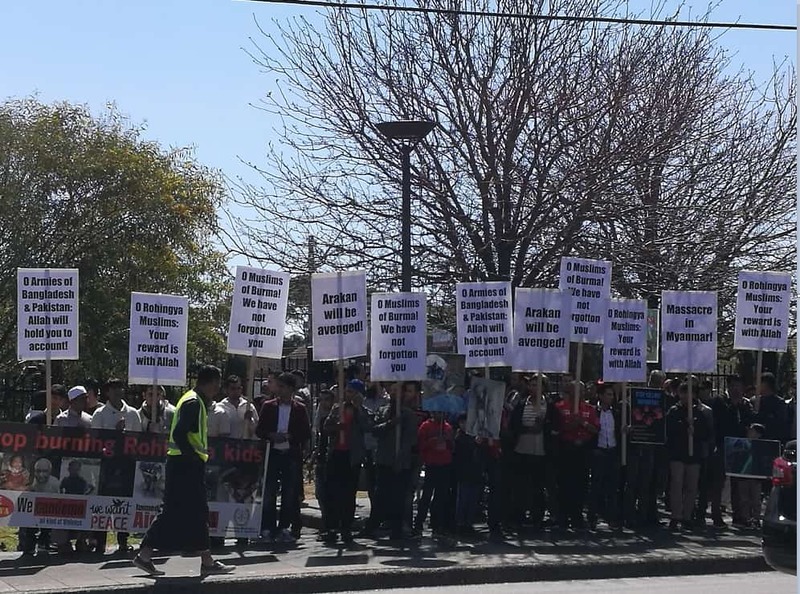 The protest was conducted by various community groups and organisations. The crowd accounted the Myanmar government for its crimes against the Rohingya Muslims. 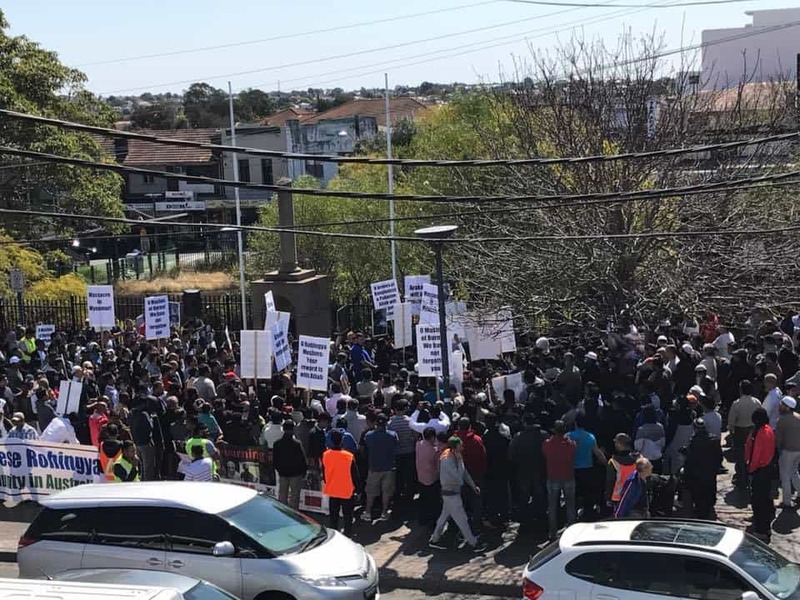 The protest was carried out in order to adhere to our Islamic obligations towards those who face injustice and oppression.